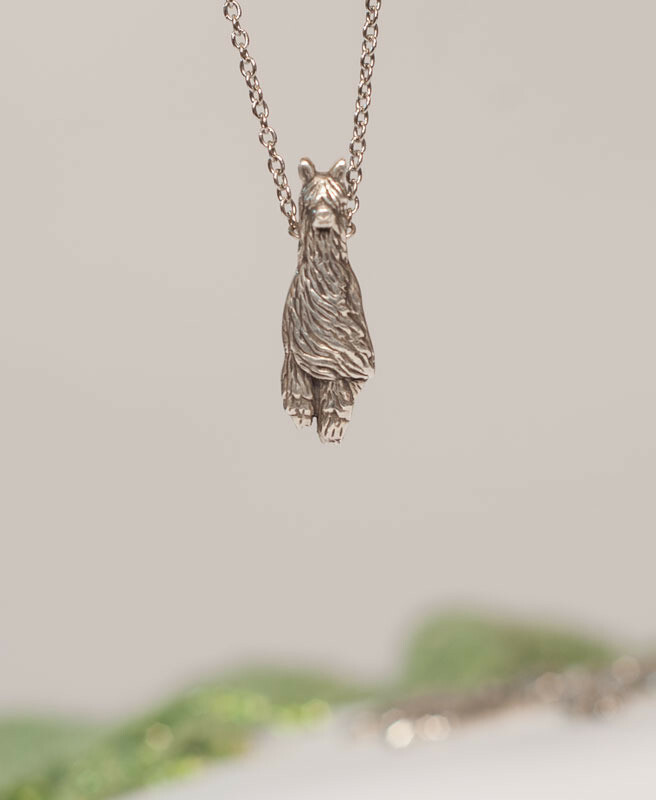 This beautiful sterling silver pendant in the likeness of Suri Network's SAM mascot is sure to please the Suri lover in your life. Buy it for yourself or give it as a gift to a special someone. The concept for this piece was developed by Alpacas of Greater Tenessee and their Alpaca Life Collection. All proceeds from the sale help fund Suri Network programs. SAM is sold exclusively through the Suri Network Store. The pendant does not include the chain.